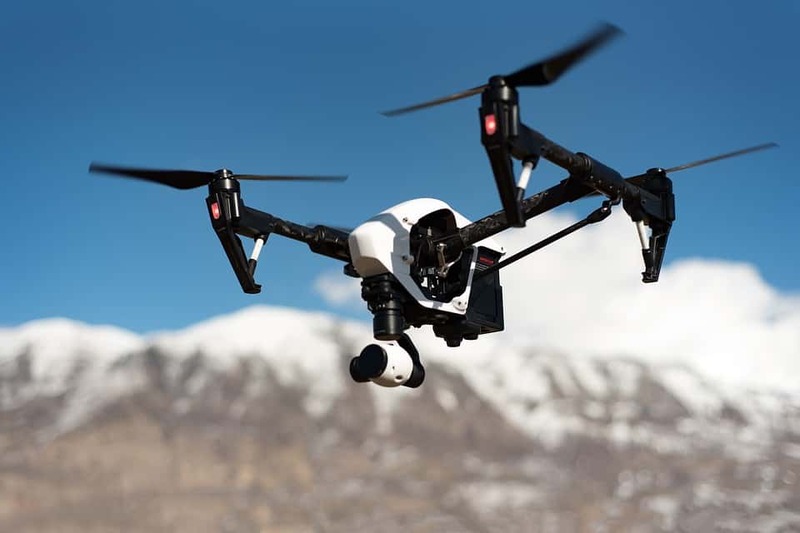 As drones continue to gain popularity, there are more questions regarding travel laws and safety concerns with respect to drones. I always wondered if I can bring my drone with me when I travel. Of course, it is a huge benefit for drone owners to be able to take their personal drone with them to capture amazing footage and images of their trip. In this post, I will cover some rules and regulations regarding traveling with your drone. Also cover some safety tips, drone packing tips, and some other great drone awesomeness to help you enjoy traveling with your drone. Let’s answer the elephant in the room right off the bat. Can I bring a drone through airport security and travel on a plane with a drone? Yes, You sure can! I am just referencing airports in the U.S for now, but it is legally ok to carry a drone on board a plane. According to the TSA website, you can carry your drone onboard. You can click the link for more info on drones and other items you can carry on board. It is very important that you check with your airline to confirm their rules and regulations first before bringing your drone. Also, it’s a good idea to inform the screening agent when going through security that you will be putting your drone through the scanner. Important note: The TSA officer has the final say whether or not an item is allowed through the checkpoint. Another very important thing to note, there are some restrictions on flying with batteries. You can only travel with 3 drone batteries per passenger. So, If you need to travel with four, give the spare ones to your travel buddy or partner to bring. Your batteries must also have to remain below 100 watt-hours per battery. If they exceed that, you must receive specific airline approval. Information on batteries carried by passengers can be found here. It’s important to note that the information above is valid for domestic U.S flights only. Flying internationally with a drone might be completely different. You will need to check with your destinations laws and requirements for traveling with a drone. I have heard of so many horror stories of drones getting confiscated at the border and fines etc.. don’t let that happen to you. Make sure to do your research beforehand. 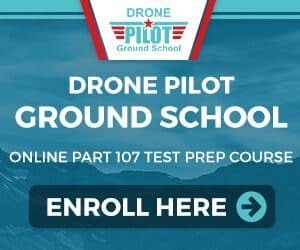 You can reference UAV Coach master list of drone laws. There is a lot of information there regarding international drone laws. Highly recommend you check it out. The Transport Security Administration is very clear on what is allowed to be carried on board the aircraft with you. This link is specific to drones, but they also have a what can I bring section, including liquids, travel tips and much more. You should review the link here if traveling with United Airlines. We all know that packing for a trip can be stressful, and packing your drone is no different. You want to make sure the proper steps and gear are used to ensure a safe trip for you and your drone. Here are some great tips and ideas that you can use. Invest in a portable travel drone. If you know you will be traveling, try to buy one that is easy to lug around. Get something that is lightweight, compact and not bulky. Those are the main things you should look for. You should also look for a drone that is strong enough to handle the weather elements. Rain, wind, snow can all play a role in your travels. Ensure your drone has a strong battery life as well, this will be more important when dealing with the harsh weather. Again I will refer you to the TSA website for rules and regulations regarding bringing a drone with you on board the aircraft. Certain sharp objects, sizes won’t be allowed. There are also guidelines that must be followed for putting a drone in your checked luggage. I don’t recommend that you just pack your drone in a regular suitcase with your other items. There are proper drone packing cases that will keep your drone protected and safe. If you are investing in a drone, you should consider a proper case for transporting it safely. But if you decide to pack your drone in a backpack or suitcase, here are some tips. Pack your radio transmitter, goggles, tools and spare parts in your checked luggage bag protected in bags wrapped in clothing. If you have space, you can pack your drone into a backpack using clothing for protection, then put the backpack into your checked luggage bag. This will work fine for most racing drones but for someone who uses expensive photography drones, I highly recommend using a proper drone case. My favorite case for transporting a drone is the Pelican drone travel case. These are hardshell cases with removable foam inserts. This particular case will fit the DJI Phantom 4 and Phantom 3 drone. These are water and weatherproof providing the best protection. You can check out this Pelican case here on Amazon. There are many other options available for drone travel cases. They all vary in prices and options. Find the one that suits you the best. You can look around Amazon here for some great ideas. If you are traveling with a mini-drone, including the DJI Mavic Pro, here is a great case. It’s very affordable, durable, lightweight, and provides excellent protection. You can also use a waterproof drone travel backpack for transport. The Lykus M1 backpack is suitable for the DJI Mavic Pro and Platinum. Also very affordable, lightweight and durable. These are available on Amazon. You can check the current price here. I recommend the filters created by Polar Pro. Adding a neutral density filter will reduce the amount of light that reaches your camera’s sensor, allowing you to manipulate the shutter speed by using different strengths, or stops, of neutral density filters. Without filters, your quality of footage has the opportunity to become shaky, so these filters are almost a must have if you are serious about footage quality. You can buy these on Amazon here. Another great item to pack along with you is a car charger or inverter which enables you to charge drones within a vehicle. Add this to your list of necessary items! ✅ Show off your drone to the locals – They will love it! So it’s great to know that you can travel safely with your drone. As long as you follow the rules and contact your airline beforehand, everything should be fine. To help things go a bit smoother, have a look at getting a proper travel case and ensure you have extra batteries, chargers and repair kits. There is nothing quite like traveling the world and taking amazing images and footage from your drone. Happy droning!